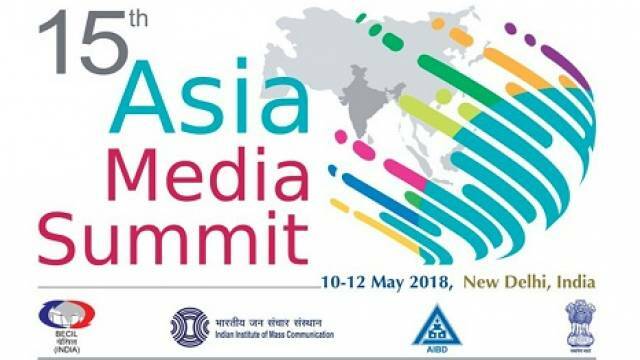 In two keynote speeches at this week’s Asia Media Summit in India, the media industry and the government were in agreement on the need to keep pace with the fast changing media landscape, but had some different opinions on how to do that. In his presentation, Sh Vineet Jain, Managing Director of India’s Times Group, urged the Indian Government to improve media regulation. He said successful media companies no longer think about print or television, they just think of the audience. “India has the fastest growing economy in the world and the Indian media market is as exciting as it gets. The industry is vibrant, but ad spend is one of the lowest in the region. Regulatory reforms are needed across the board to remove anomalies in the system and encourage a fair marketplace that benefits the consumer. “A level playing field is a prerequisite for the success of the media industry… The government must limit the mergers and acquisitions of telcos, otherwise one or two big companies will control all media,” he said. He commended the government for the recent separation of content creation companies and carriage companies, but said more needs to be done, noting that there are many tv channels, but that there is scope for even more radio channels. “There is no reason for the FM radio industry to be as small as it is. The government could double the number of FM stations by halving the spectrum between each channel. Radio broadcasters should be able to offer more format choice. The government would be the biggest beneficiary of such a policy, with more revenue from licence sales. The credibility of newspapers is increasing in the face of fake news, but “sadly the revenue of the press is decreasing” commented Jain. “India’s digital economy holds significant promise, but it needs to be a stand alone ecosystem, not one dominated by companies from the USA and China. Most of India’s internet companies are becoming owned by US or Chinese companies. “At 2.9% of India’s GDP, the Indian media market is one of the fastest growing advertising markets in the world,” she said, countering comments by the Times Managing Director that there was not enough media revenue when compared with other countries. “The government seeks to support the media industry in India… Of course there are challenges we need to discuss, but we are making progress. “We are here together to tell stories and look at opportunities to leverage our powers to ensure that every citizen has a voice today… The industry has become consumer centric thanks to the changes that digital media have brought to the industry. “We now have 323 private FM channels, and 683 more channels will be auctioned this year. “We have a vibrant community radio sector with over 200 stations and 100 more in the pipeline. We have increased subsidies for community radio stations from 50% to 90% of operating costs.